Today we are pleased to feature a guest blog by Tricia Kardon, Director of Camp Twitch and Shout. Every year we sponsor two children to this summer camp, which is very dear to our hearts since Kelsey was a volunteer there. 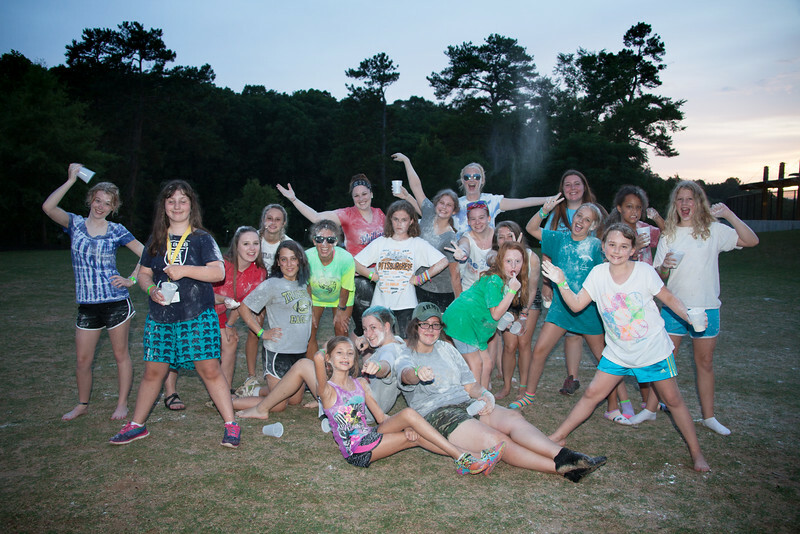 In honor of Tourette Syndrome Awareness Month, we are hosting our 3rd Annual Summer Camp Paint Party to raise money to sponsor attendance for two children. 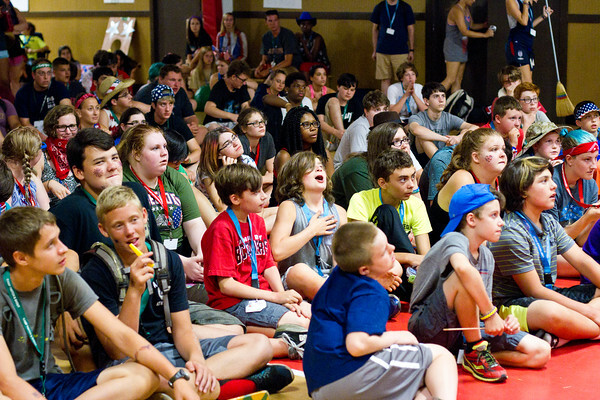 We hope you’ll read on to learn about the impact of Camp Twitch and Shout! 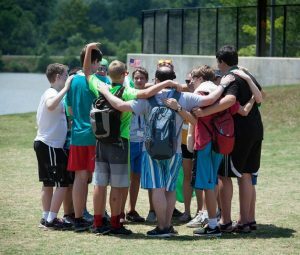 With around 100 returning campers each year, Camp Twitch and Shout has become something like a holiday for our kids and families affected by Tourette syndrome. But, we strive to be so much more…we hope to change and improve the lives of our children in just 1 week every summer. Our program has grown to host over 140 campers and 110 volunteers that come from all over the USA. Winner of two Program of Excellence Awards (1 Regional and 1 National) in the past two years from the National American Camp Association, Camp Twitch and Shout has developed in to a quality program that is supported by an incredible team of volunteer professional support that includes physicians, nurses, psychologists, occupational therapists, educators, and behaviorists. To put together a program of this size and this quality…it can be expensive for many. Our families are burdened with expenses that come with such a complex disorder, and therapies that are not usually covered by insurance. We only have 1 week each year where we receive income, and it has to last us all year long. Private donations and fundraising efforts are important. This summer we have requests for 36 full needs based scholarships, and subsidized tuition for over 75 families as well. We try to continue to make camp affordable to as many people as possible through our Financial Assistance program. Raising the funds to continue to provide scholarships and subsidized tuition options to all of our families that cannot afford the true cost of camp is an important goal for us…we need your help and support. Going in to our 9th summer this year, we continue to bring new strategies and ideas to enhance the experience for everyone who attends. With intentional programming that helps our children discover their strengths and gifts by encouraging them to build resilience, develop independence, find their individuality, form friendships, and learn the skills to practice mindfulness…we hope to improve the lives of each camper, as well as volunteer, by bringing Camp Twitch and Shout home with them. Want to know how you can help make Camp Twitch and Shout a reality for two children with Tourette Syndrome? Join D4TS for our 3rd Annual Summer Camp Paint Party where you can paint wine glasses or beer mugs and a portion of your registration fees will go towards sponsoring two children to go to Camp Twitch and Shout. You can make a difference and give them the summer of a lifetime! For more info: www.dollars4ticscholars.org/2017paintparty.